Would you like to stream games on your mobile phone rather than download them? We got an opportunity to sit down with Vesa Jutila, Co-Founder, Hatch Entertainment and talk about streaming mobile games on your smartphone. Streaming content is the future of all content consumption. With apps such as Netflix, Hotstar, Prime Videos, Hooq and more offering a large catalogue of movies and TV shows, it’s easy to simply hit play and enjoy the content rather than waiting for it to download and then enjoy it. From a technical perspective, streaming movies and TV shows is a lot simpler than streaming games. With movies and TV shows, you don’t interact with what’s happening on the screen. With games however, there are a lot of permutations and combinations of player input that affect the outcome on the screen. This is the primary reason why game streaming services aren’t as popular as content streaming services. We have services like PlayStation Now, NVIDIA’s GForce Now, Shadow Cloud and more coming up giving gamers the ability to stream PC and console games rather than download them. But today’s story isn’t about PC and console game streaming. It is about streaming mobile games on your smartphone. 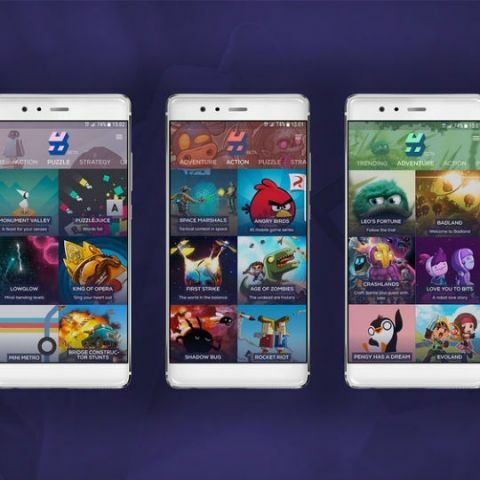 We had a chance to sit down with Vesa Jutila, Co-Founder, Hatch Entertainment and talk about streaming mobile games on your smartphone. What is Hatch you ask? Hatch is a game streaming service. The objective is to make streaming games as simple and seamless as it is to watch movies on Netflix or listen to music on Apple Music. So the obvious next question is how much data will be consumed when streaming games on the go? The game streaming on Hatch is currently consuming 200 kilobytes per second. So, if you play for 1 hour on your smartphone, you consume about 500MB of data. In a country like India, one of the biggest problems is maintaining good network connectivity, especially if you want to game on the go. To this Jutila says, “Hatch is an online service. So if you lose your network connectivity, you can’t continue playing. We are able to adjust for some small disruption in the network connection. It doesn’t automatically get cut right away. But of course, online service, you need a connection to play.” So, yes. If you lose network or the network drops, you can face some issues when gaming. How well this works is something we will comment on once we get access to the service. Coming to the most important question - Price. Hatch plans to be available in two models. One is a paid service much like a Netflix subscription. The other is an advertisement based model. In the ad based model, the user only sees the ads when he/she is in the Hatch app. This could be a banner ad, a pre-roll ad, etc. But once you fire up the game, the gameplay experience is ad free. The entire gameplay is as the developer intended it to be for you. The service will give you access to more than a hundred games and you can check out the entire catalogue of games here. Hatch is currently operational in Beta in 18 countries through the ad based model. It is currently on Android only but Jutila says that it will come to other platforms as well. Before you fire up your smartphone to download the app, know that India is not one of the 18 countries where the beta is active. Jutila didn’t give us an exact timeline on the launch or Beta for the service in India, but we hope it comes soon. Here’s my perspective on Hatch using the example of the Xbox Game Pass. On the Xbox One I have access to Game Pass, which gives me access to more than a hundred games for a mere Rs 700 a month. This lets me experiment with games I would otherwise not spend money on. Think about it, all I do is download a game available on Game Pass on the Xbox, give it a go and if i don’t like it i can delete it. This exposes me to a catalogue of games I would otherwise be hesitant to check out because of one factor only - spending money on the game. There is no risk of me purchasing the game to experience it and find out if I like it or not, thanks to the subscription service. The library of games is of course limited. Similarly, the Google Play Store is filled with quite a good collection of paid games. Google has a service called Instant Apps whcih lets you try out an app before downloading it. With Instant Apps, Android users can try apps immediately without needing to install them on their mobile. Google introduced Instant Apps at I/O developer conference last year and it basically allows Android users to check apps without installing them in full. In order to make apps compatible with Instant Apps, developers need to partition their applications into small, runnable parts so it can be run with a tap of an URL. You can read more about Google's Instant apps here. The problem is, a lot of people in India wouldn't pay for games unless they've seen the game in action on a friends smartphone or are absolutely sure it is worth the money. 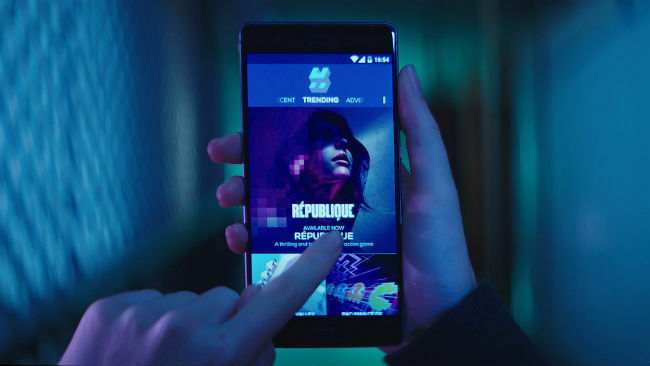 With Hatch, using the ad based model, you have access to experience more than a hundred games, all of them from the paid catalogue of the Play Store. 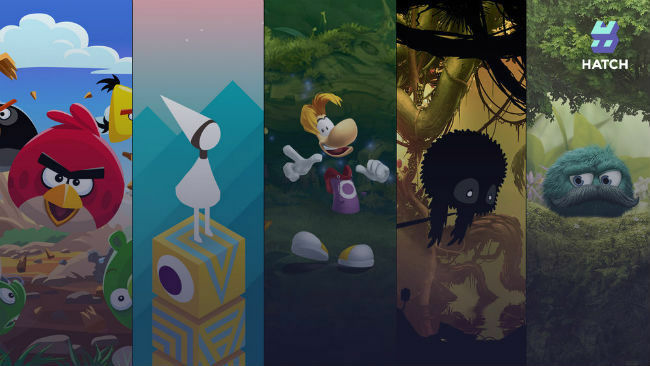 Hatch will not have any free or freemium games as a part of their library. So the game streaming service can be a great experience if you are looking to get out of your comfort zone and experience paid games you would otherwise avoid and miss out on. Trying a game is very easy on Hatch. Click play and the game starts. There is no wait time or download time. During the soft launch, Hatch has signed deals with 110 companies internationally. Some known studios like Ubisoft, Sega, Bandai Namco, and more are on board. The library will also include less known indie developers as well. We did get a chance to check out the service in action during our meeting with Jutila. The games were running on an Android smartphone and the network of connectivity was Reliance Jio. You can check out the service in action in the video below. Which are the best Android Applications to be download in your Mobile?